Bophuthatswana Defence Force; Air Force disbanded and incorporated in S.A.A.F. 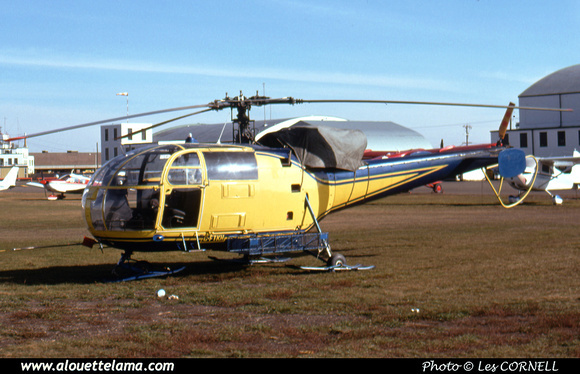 C-FTKH Eurocopter (Aérospatiale) SE3160 Alouette III MSN 1659, Kenting Helicopters - Fort Simpson, NWT - CYFS - 09-10-1975 - Photo Les Corness (Larry Milberry collection). Dernière mise à jour/Last update : 06-05-2012. L'usage des logiciels Firefox ou Safari est recommandé. The use of Firefox or Safari browsers is recommended.